A dirty bomb has never been detonated in El Paso — but that doesn’t mean that local hospitals aren’t ready for it. Dirty bombs, a bomb that combines radioactive material with conventional explosives, were one of the topics at this year’s Rio Grande Trauma Conference. From Nov. 30 through Dec. 1, health care professionals from all over the Rio Grande region gathered at Texas Tech University Health Sciences Center El Paso (TTUHSC El Paso) to learn the latest in trauma management. The conference focuses on specific types of trauma that a care team might encounter. This year’s lecture topics included poisoning and dog bites in children, knee dislocations, brain death determination, and protocols for treating victims of dirty bombs. TTUHSC El Paso Professor of Emergency Medicine Stephen Borron, M.D., presented the “Chona Macatangay, R.N., Memorial Lecture: Managing the Unthinkable: Caring for the Dirty Bomb Victim.” Dr. Borron, who also directs University Medical Center of El Paso (UMC)’s West Texas Regional Poison Center, discussed what a dirty bomb case might look like, and how trauma teams can safely and effectively deliver care. 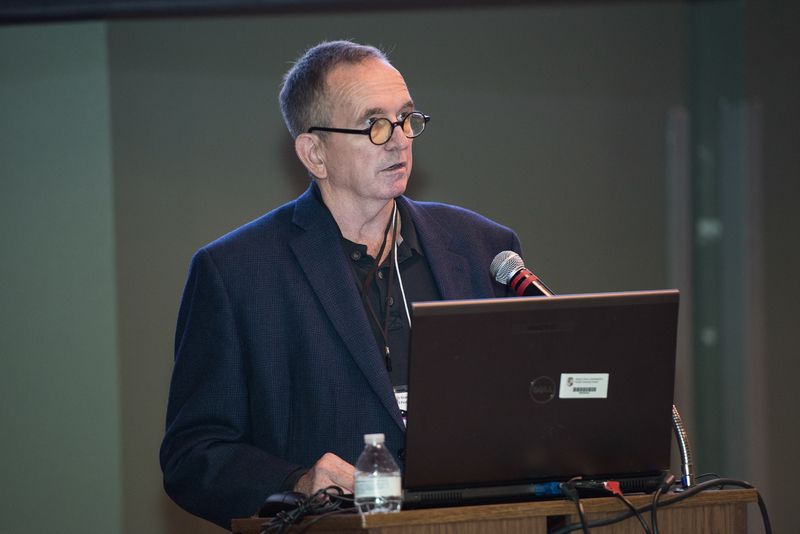 TTUHSC El Paso Professor of Emergency Medicine Stephen Borron, M.D., presented the “Chona Macatangay, R.N., Memorial Lecture: Managing the Unthinkable: Caring for the Dirty Bomb Victim” at this year’s Rio Grande Trauma Conference. According to Dr. Borron, victims of a radioactive bomb can have health effects beyond surface injuries, like acute radiation syndrome. Acute radiation causes a decrease in white blood cell counts and platelets, which can lead to severe infections and gastrointestinal problems like diarrhea and dehydration. While the risk of a dirty bomb incident is low, recent attempts by terrorists to purchase or steal radioactive material have put officials on alert. “It’s pretty unusual that trauma teams are oriented toward this kind of problem,” said Dr. Borron. Most emergency medicine physicians and surgeons are trained to deal with shrapnel injuries and other direct effects of an explosive blast. “These types of cases really require a lot of interprofessional collaboration between emergency physicians, trauma surgeons and radiologists,” he explained. Now in its eighteenth year, the conference was originally founded to meet standards set by the American College of Surgeons Committee on Trauma, which requires Level I trauma centers like UMC to continuously educate the public and health care providers. Alan Tyroch, M.D., TTUHSC El Paso Department of Surgery chair and UMC’s Trauma Medical Director, is a key organizer behind the event. “As with other medical conditions, the care of injured patients continues to evolve. Conferences like these help us maintain cutting-edge technology to provide the best care possible,” said Dr. Tyroch. In total, 20 TTUHSC El Paso faculty, residents and fellows presented at the conference, along with several medical students. The event was jointly organized by the Paul L. Foster School of Medicine and UMC. Dr. Borron’s lecture was named in honor of Chona Macatangay, R.N., former trauma program manager for R. E. Thomason General Hospital (now University Medical Center of El Paso), who died of breast cancer in 2009. Macatangay is widely recognized for advances in the education of physicians and nurses about how to effectively care for trauma patients. Every year since 2009, one of the conference’s lectures has been named in her memory.